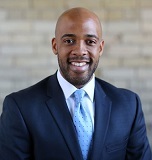 Democratic Radio "It’s a New Day in Wisconsin"
MADISON - This week Lieutenant Governor Mandela Barnes presents himself to the people of Wisconsin. Hi, I’m Wisconsin Lieutenant Governor Mandela Barnes. It’s a new day in Wisconsin with the inauguration of Governor Evers last week, and I’m honored to serve our great state by his side as Lieutenant Governor. As your Lieutenant Governor, I intend to focus the work of my office on promoting equity and sustainability across Wisconsin. We have a responsibility to make sure that opportunity exists in every community across our state, because a person’s zip code should not determine their destiny. I’m excited to work with Governor Evers to improve great access to healthcare, provide great schools in our neighborhoods, invest in our crumbling roads and infrastructure, and ensure sure that clean and safe drinking water is available in all of our homes. So right out the gate, we’ve been traveling across the state, meeting with community members and talking about how we can come together to address the critical issues that impact every one of us. What we’ve heard is that people are ready for their elected leaders to set aside political differences, in order to make Wisconsin work together to solve problems- which is exactly what we’re doing. It’s truly an honor to serve as Lieutenant Governor of our great state. I look forward to visiting you in your community soon.